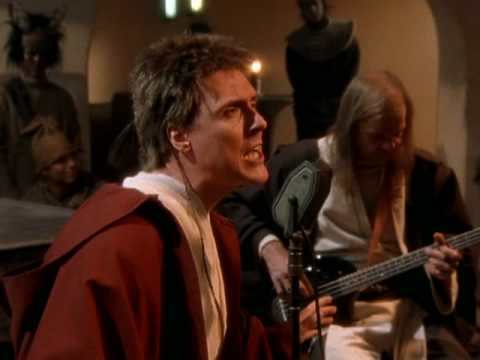 In the "Weird Al" Yankovic song The Saga Begins, he makes a bunch of predictions about Episode One that all seem to be valid, and unless I'm mistaken wrote the majority of the song before the film was released, and only made minor changes after seeing an advanced screening. Did he have a sneak peek at the film before he started writing? Were the trailers that revealing? Or did Jedi Al just use the Force? Not the answer you're looking for? Browse other questions tagged star-wars the-phantom-menace music weird-al-yankovic or ask your own question. How did the creators of the Big Bang Theory know how well-received The Force Awakens would be? How old is Queen Amidala meant to be in the Phantom Menace? Who was “The Phantom Menace”? How did Padme's decoy from The Phantom Menace know what to say all of the time? Did Obi-Wan sense Darth Sidious at the beginning of Phantom Menace? Why was Episode 1 named “The Phantom Menace”?